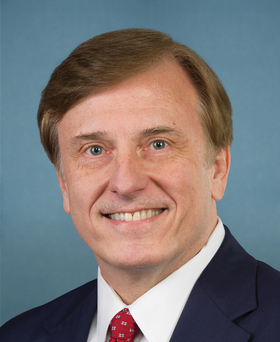 Former U.S. Rep. Dr. John Fleming has been named deputy assistant secretary for health technology at HHS, a new position at the agency. He will report to HHS Secretary Tom Price. Fleming, 65, plans to advocate policies that would encourage physicians to use technology in their medical practice. He hopes to remove barriers to data transfer and to cut down on providers' paperwork. Last year, he spoke out against the Medicare Access and CHIP Reauthorization Act of 2015, saying its reporting requirements were going to frustrate doctors. He predicted physicians would eliminate Medicare patients from their panels. From 2009 to 2017, Fleming, a Republican and former co-chair of the Doctors Caucus, served as congressman for Louisiana's 4th District. During his time in Congress, he sponsored, among others, a bill to repeal the Affordable Care Act and a bill that would remove some of the restrictions on health savings accounts.